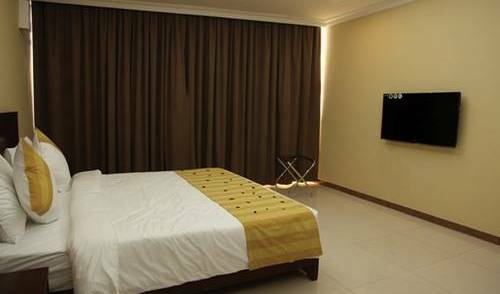 Our Single Deluxe rooms contains queen size bed, Safe deposit box large enough to hold a laptop, Word rope, Flat screen satellite T. V, A/c , Mini Fridge, Private en suite, Phone, WIFI , Coffee Maker, Hair dryer. This room types is suitable for family has it it has got two bedrooms as well living room ( for family sharing), word rope, mini fridge, a/c, private and en suite, coffee maker, reading table with two chairs, hot shower, hair dryer, wifi, phone service, self deposit box which enough to store a laptop, and Jacuzzi added to it. This room type has got two (2) bedrooms (each room with queen sized bed), word rope, mini fridge, a/c, private and en suite, coffee maker, reading table with two chairs, hot shower, hair dryer, wifi, phone service, self deposit box which enough to store a laptop. This room type has got one queen bed ( for two person sharing), word rope, mini fridge, a/c, private and en suite, coffee maker, reading table with two chairs, hot shower, hair dryer, wi-fi, phone service, self deposit box which enough to store a laptop. This room type has got two (2) queen beds ( for two person sharing), word rope, mini fridge, a/c, private and en suite, coffee maker, reading table with two chairs, hot shower, hair dryer, wifi, phone service, self deposit box which enough to store a laptop. Contemporary, elegant design is the hallmark of our 18 Studio Rooms offering a combination of comfort and luxury. Ideal for the budget traveler the Studio Room offers all the amenities ensuring a memorable stay. 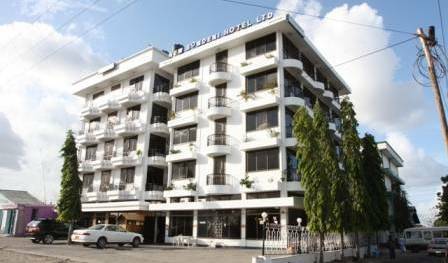 Designed for the business travelers and tourist, The Executive Room combine luxury, spaciousness and the pleasure of overlooking the harbor from one side and Dar es Salaam City from the other. Equipped the very latest hi-tech amenities including WIFI high speed connection, satellite channels amongst others, the facilities and services provided to our valued guests ensure a memorable stay for the most discerning business travelers and vacationers alike. This room type has got one King size double bed, for 2 person. 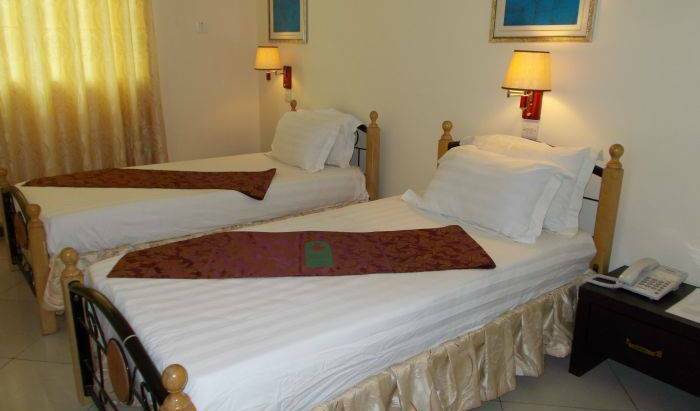 Our Deluxe rooms has got 2 king size beds, 2 separate rooms, which can accommodate 4 persons, very comfortable. 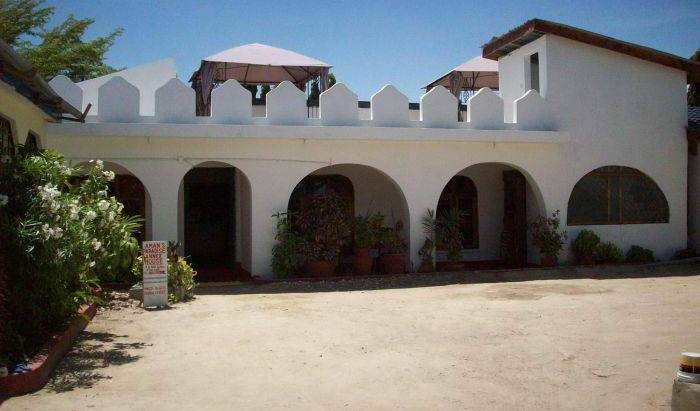 There is a dinning room into this apartment as well as fully furnished kitchen. Also there is a safe big enough to store laptop, just to make sure your are safe. Our Family Suites has got 3 separate rooms, every room with one King size bed for 2 persons. There is a dinning room, as well as sitting room. Also there is fully equipped kitchen, with refrigerator, micro wave, tea/coffee maker, just to make sure our clients feel at home. Designed for the business travelers and tourist, The Executive Room combine luxury, spaciousness and the pleasure of overlooking the harbor from one side and Dar es Salaam City from the other. Equipped the very latest hi-tech amenities including WIFI high speed connection, satellite channels amongst others, the facilities and services provided to our valued guests ensure a memorable stay for the most discerning business travelers and vacationers alike. This room type will be charged as single only when there is one person in the room, although it has a capacity to accommodate 2 persons. A spacious 13x10. 5 Ft room. It has a 6x6 ft single bed, coffee table, one chair and a refrigerator. Spacious 13x9 Ft room with two 3. 5x6 ft beds. Twin rooms can be useful for children who come along their parents as well as individuals who come in groups. Spacious 15x12 Ft room with one 6x6 ft bed. There is a coffee table and two chairs, a refrigerator, coffee and tea maker as well as drinking water. Also spacious 14. 5x13 Ft room with three beds of 3. 5x6 Ft each. 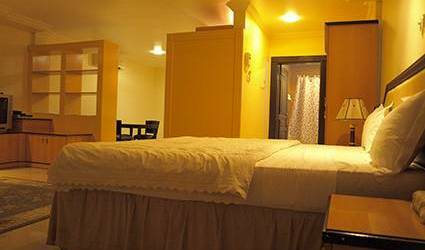 Triple room is useful for group guests who expect to spend a couple of days in the city. Small, self contained 10x7 Ft room with single 4x6 Ft bed. Suitable for in-transit customers with a limited budget. It has a bathroom, mosquito net, private balcony, TV Set connected to digital satellite channels, free breakfast, Intercom phone, a fan, air-conditioner and king-size bed. 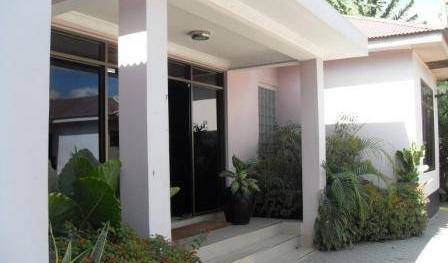 It has a bathroom, mosquito net, private balcony, TV Set connected to digital satellite channels, free breakfast, Intercom phone, a fan, air-conditioner, two beds for extra comfort. 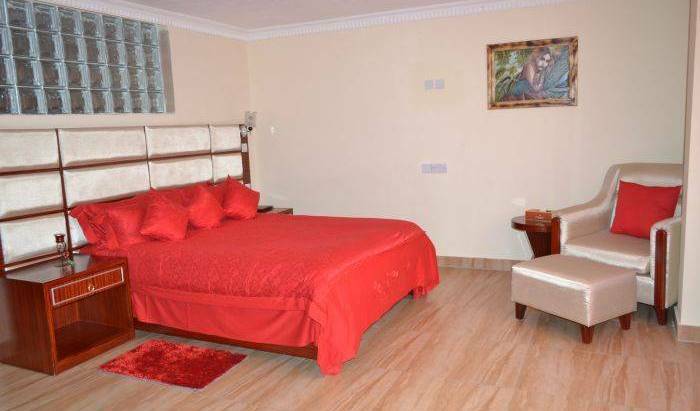 This room type has got 1 king size bed, living room, kitchenette, T. v, fully A/c, private en suite. This room type has got one medium size bed with private en suite, T. v, word rope, fully A/c . Facing the old German ruins, and the new solar powered automatic lighthouse - is our double room named by the mentioned lighthouse! With a stunning view and your bed made out of a dugout canoe, you will appreciate your stay here! Our well ventilated and spacious double room bungalow. A romantic and rustic bathroom and a large bedroom with the possibility of adding extra beds. Our newest attraction, secluded and spacious! Separate bathroom and a large bedroom with the possibility of adding extra beds. Come and let your dreams flow - and appreciate comfort few Lightkeepers can enyoy! Eigther on your private second storey terrace, or in the "Rudder bed" - a stay in this room will bring relaxations to your senses! Decorated by carved masaai figures, Makonde woodwork and pictures - you will be staying in a family bungalow with details who make you come back again and again! Our first bungalow, named by the villagers as The Palace, a two room family bungalow with a shared bathroom. A big terrace and private dining facilities.